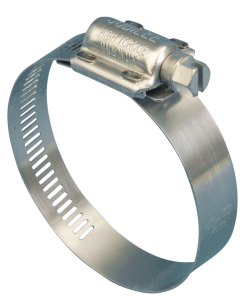 Jubilee® Clips is pleased to be offering a new and improved range of Lloyds-Register approved High Torque heavy duty hose clips, now made in its factory in Gillingham, England. The company is proud to have received the Lloyds-Register approval for this range of heavy duty clips for Marine, Offshore and Industrial use on flexible hoses, essential for insurance purposes when used in the marine and offshore sectors. 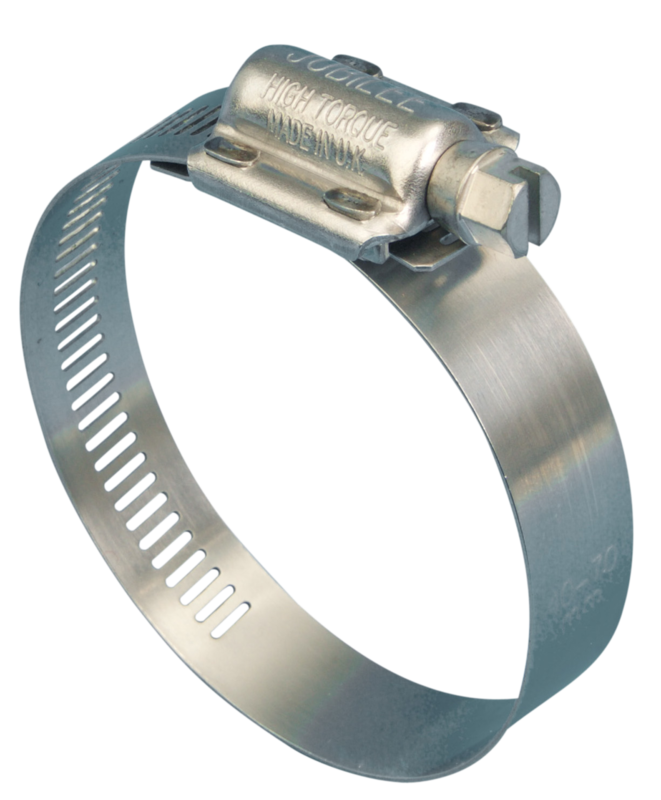 Jubilee® Clips, whose founder invented the worm drive hose clip in 1921, has made significant improvements to the standard High Torque hose clamp design, including rolled edges of the banding to ensure softer hoses are not damaged and improved riveting of the housing for extra strength of the clip. High Torque clips made by Jubilee® are now offered with the band, housing components and screw all made of 304 stainless steel, solving the potential problem of corrosion with mixed material found in other high-torque clips on the market. Jubilee®’s High Torque clips are made with a two part housing and cut through band, keeping the band straight at the point of engagement and fully engaging all of the screw thread; giving a superior tightening torque. They are ideal where a high clamping force is required and with a flexible band material they can achieve a high level of friction even against a smooth surface such as a metal pole or lamp post. High Torque Clips from Jubilee® are suitable for heavy duty applications with plastic or reinforced hoses and are the only type of hose clip approved for use on reinforces hoses by Lloyds Register. The high clamping forces make this clip suitable for heavy duty applications where stubborn leakage or vibration issues make other clips and clamps unsuitable. With a wide clamping range compared to alternative heavy duty clamps, stock requirements for both distributors and end users are greatly reduced. The flexible band also offers better sealing at lower torques than nut and bolt style heavy duty clamps, which, combined with weight saving benefits, make Jubilee® High Torque Clips a versatile and superior heavy duty clamp.